Today is the anniversary of Horatio Nelson’s great victory – and mortal wounding – at the Battle of Trafalgar in 1805. So many aspects of Nelson’s all-too-short career should be celebrated. Here are just six that have special resonance to me. 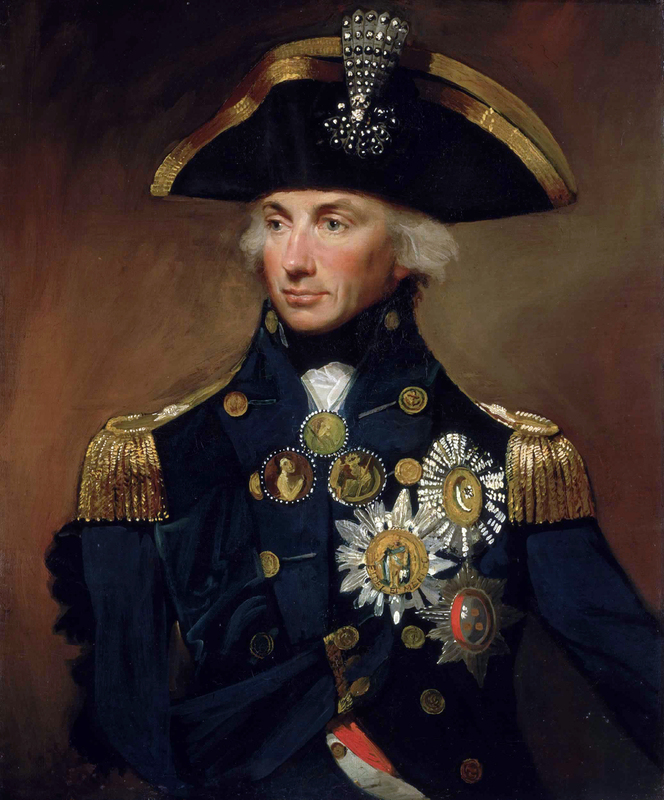 Nelson believed in leading from the front and often performed acts of extreme bravery. In 1797, for example, when he saw a Spanish gunboat flotilla off Cadiz, the British fleet meanwhile at anchor, he called away his own admiral’s barge and with Captain Fremantle and eleven seamen was soon pulling vigorously toward the Spaniards. Inspired by the sudden intervention of their leader the British seamen raised the cry of: ‘Let’s follow the Admiral, lads!’ and made after him. A fierce, close‑in, cutlass‑clashing boat action was soon to follow. Nelson didn’t have to prove anything by getting involved like this, but there he was, right out in front. Nelson appreciated the importance of detailed planning but he also knew how to delegate. By inducing in his captains his own concepts of command and freely imparting his ideas and intentions to them, Nelson unlocked their initiative and reduced dependence on chancy signals. He deliberately used the concept of a band of brothers to create a tightly knit command structure, all of whom knew what he wanted without being told. Nelson was a man for whom courage, honour and duty shaped his life. His courage in battle is legendary. But there was also great personal courage in dealing with the many injuries and illnesses he suffered throughout his life. What person today could perform at such a high professional level with only one arm, a sightless eye, the after‑effects of malaria and other diseases, and often continual pain? And what, but an incredible belief in duty would have taken him from Emma’s arms before Trafalgar just as he’d achieved the peace he craved? I am borrowing your words to use in an address to the Naval Officers Association at their annual Trafalgar Day Lunch to be held in the Royal Freshwater Bay Yacht Cub here in Perth Western Australia on Monday 22nd October next. I might even relate some of the detail that I have on your time as a MOBI in the RAN, let alone what I have learnt of your RNR service. 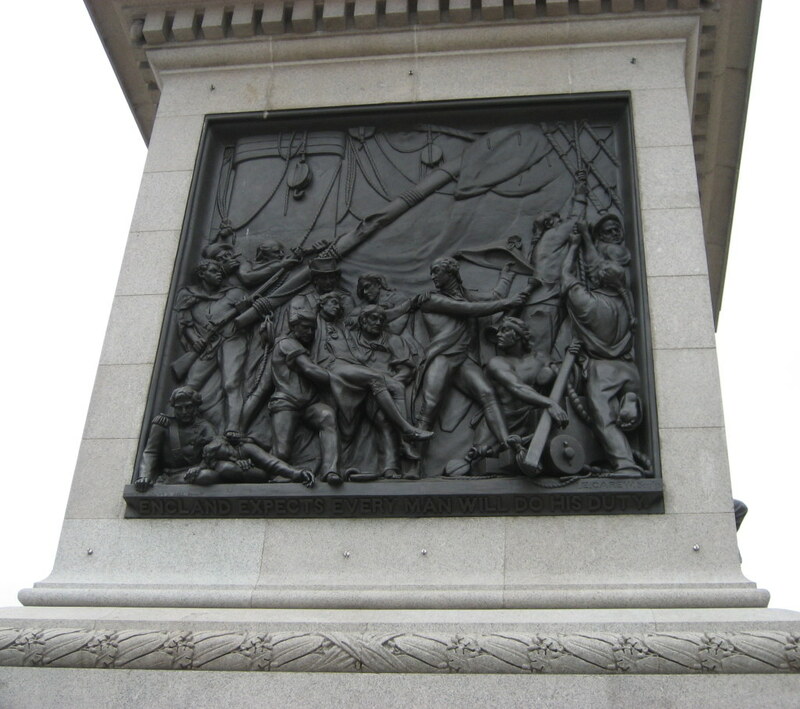 Thought it polite to let you know that my wife has “borrowed” the information in this blog for her schools week of Trafalgar Day assemblies!! This is very much inland Oldbury in the West Midlands. Thanks for a series of wonderful entertaining and informative blogs to go with the currently peerless Kydd books. Brent. I’m delighted that this is being shared with the younger generation, Brent. If your wife is planning any further Nelson-related schools projects I would be happy to send her a few bits and pieces for a display. 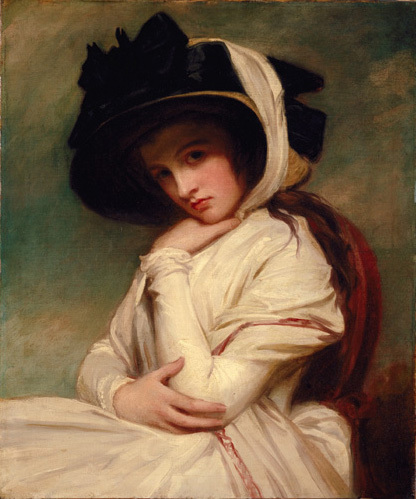 There’s an interesting history of Nelson’s medical problems in a book called “The Common Touch” (A Doctor’s Diverting Look at Fourteen Famous Patients) by DR J.H. Leavesley. On http://www.gutenberg.org, there is “An Authentic Narrative of the Death of Lord Nelson” by the ship’s physician attached to HMS Victory at the time of Nelson’s death. Very interesting reading. I celebrate Trafalgar day each year by putting up a White Ensign in my home and drinking a tot of ‘Nelsons Blood’. God Bless Mariners Everywhere. The toast is “The Immortal Memory”. My reply “Silence” and a wish that another great leader will come to Our Great Nation. I second David Cornes comment and I to say splice the mainbrace. My two greatest heroes, both from the 19th century: Isambard Kingdom Brunel – and of course Horatio Nelson. I suspect that we will not see their like again! My wife and I together with another couple attended a splendid Trafalgar Night Dinner at the Explosion Armaments Museum, Priddys Hard, Gosport last Friday evening, Guest Speaker Captain John Roberts MBE whose table we had the pleasure to be on. The evening started with Champagne on arrival and us being piped aboard by a large group of museum volunteers dressed in period Jack Tar and Royal Marine costumes. Then a firing of an original cannon of the period. Then piped to the area where the dinner was to be served and a Tot issued to all those present. Dinner was a magnificent 3 course affair followed by the entrance of “Ships of the Line” duly lit with sparklerswhich were then served with coffe and port. A really magnificent evening enjoyed by all. Splice the main brace I say each and every 21st October.